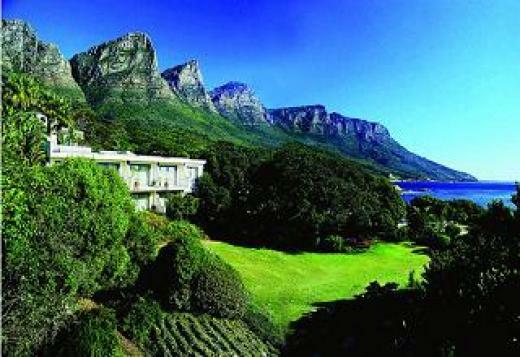 Ocean View House is nestled between Camps Bay and Bakoven boasting some 6 acres of indigenous gardens. All Luxury rooms and suites are en-suite with some of the finest views of the Atlantic Ocean. Enjoy a unique combination of warm hospitality and highly personalized service, you are assured hotel standards with a Guest House intimacy. From this sought after location guests are able to wine and dine at some of the finest restaurants in Cape Town and are within a few minutes drive of the Table Mountain Cableway and many of Cape Towns well known tourist attractions. Ocean View House is a large 14 bedroom four star guest house nestled between the Twelve Apostles mountain range and overlooking the beautiful Atlantic Ocean. 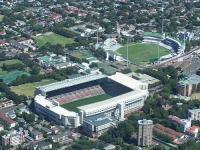 Ocean View is across the road from Bakoven Beach and a 10 minute walk to Camps Bay Beach and Restaurants. 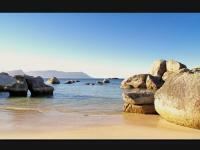 Our property boasts the most beautiful ocean and mountain views as well as gardens and bird life. We also have a large swimming pool, beautifully landscaped gardens, koi pond, bar area, all-night security, ample parking, wireless internet access and much much more. Ocean View House, tucked away in a magnificent garden in Bakoven.